While whiskey remains a perpetual favorite of spirits drinkers—increasing year-over-year by 6 percent to reach 22.5 million nine-liter cases sold last year—tequila sales surpassed 17 million cases. Today, tequila consumption is outpacing every other major spirit on the market and has become a nearly ubiquitous liquor of choice. Americans are thirsty for quality beverages, which has led consumers to increasingly seek out brands producing small-batch and unique liquors. As the purveyor of craft-distilled premium liquors, Frontier Spirits, LLC, is perfectly positioned to drive sales of two innovative brands: Pura Vida Spirits Company and Luckenbach Road Whiskey Distillery. At the intersection of craft and beverage, you’ll find Pura Vida Spirits, whose success lies in its smooth, unparalleled flavor. Developed through years of extensive research and dedication to creating the perfect tequila, Pura Vida contains only the purest waters and organic agave to achieve its ultra-premium, triple-distilled tequila. 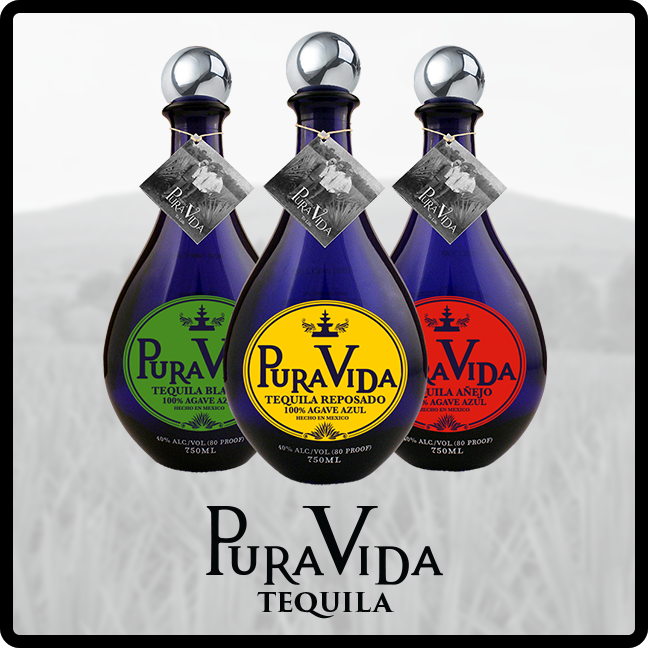 Pura Vida’s award-winning tequilas have earned numerous accolades, including Double Gold at the New York World Wine and Spirits Competition, the Best-in-Class Award at the Spirits of Mexico Festival (in all four categories), Platinum at the Santa Barbara Tequila Harvest, Double Gold at the Fifty Best, and many more. 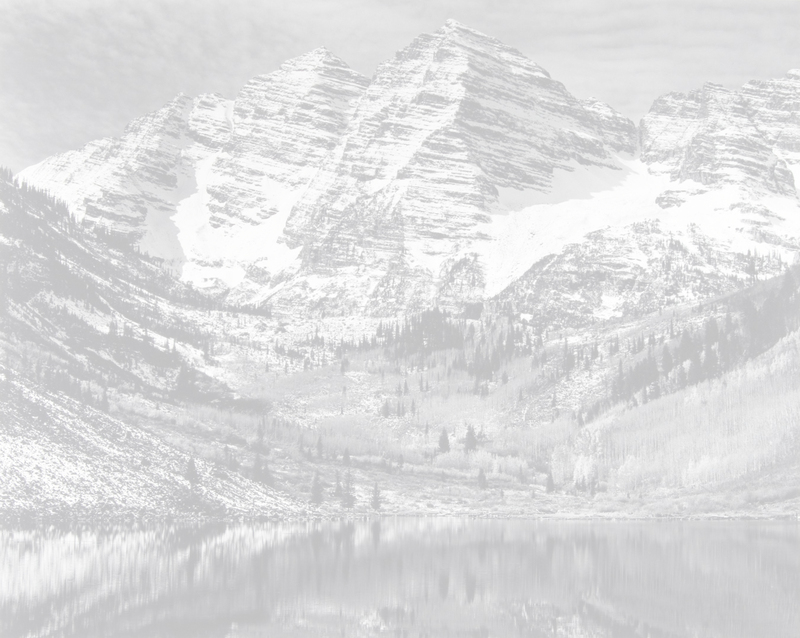 It even earned the prestigious Editor’s Pick from Beverage Industry News. Pura Vida Blanco: When making your favorite cocktail or the ultimate margarita, Pura Vida Blanco delivers pure agave flavor and unparalleled drinking pleasure. The smooth, warm taste of pure blue agave is highly delicate, and some tequila purists prefer simply to savor the nuanced elixir untarnished and unadulterated. Others find Pura Vida Blanco Tequila to be the perfect ingredient in any tequila cocktail and every mouth-watering margarita. Pura Vida Reposado: Triple distilled and lightly rested (reposadoin Spanish) in the highest quality, single-generation American oak bourbon barrels for no less than six months, Pura Vida Reposado enlivens any occasion with a combination of superb smoothness and superior taste. Our Reposado is perfect for those who prize a richer, more complex flavor in their tequila. Enjoyed alone or mixed into your perfect margarita, our Reposado tequila provides all the smoothness you want and delivers the pure tequila taste you crave. Pura Vida Añejo: An ultra-premium tequila, Pura Vida Añejo is aged for a minimum of one year in high-quality, single-generation American oak bourbon barrels. This aging process yields a flavor that’s smoother, richer, and more complex than that found in younger tequilas. The deep-amber liquid has a sweet, light aroma with hints of pear, vanilla, coffee, and oak, as well as a rich, elegant taste. Pura Vida Extra Añejo: For the ultimate in sophistication and satisfaction, nothing compares to our Extra Añejo. Whether you’re entertaining royalty or dining with friends, it will excite your palate in ways you’ve never thought possible. Añejo, Spanish for “aged,” is highly apropos because our Extra Añejo Tequila is aged in premium quality, second-generation Cognac barrels for at least three years. This extra aging process allows our Añejo to darken and to mature into a tequila that is smooth, complex, and delightful. Luckenbach Road Whiskey: Inspired by the first batch of whiskey the Luckenbach Road Whiskey Distillery founders made using the recipe of their great-great grandfather, Herman Ochs, Luckenbach Road Whiskey will be crafted from the highest-quality locally grown ingredients, and its flavors will be balanced to perfection! Luckenbach Road Whiskey—Rye: Crafted from family-farmed corn and rye and perfect for sipping, this recipe has a unique blend of ingredients, including more rye than wheat. Our rye whiskey will have that undeniable spicy, complex taste but with smooth tones of maple, oak, and nutmeg and a light, smooth finish. Luckenbach Road Whiskey—Bourbon: Experience bourbon in its purest form—straight from an American oak barrel. 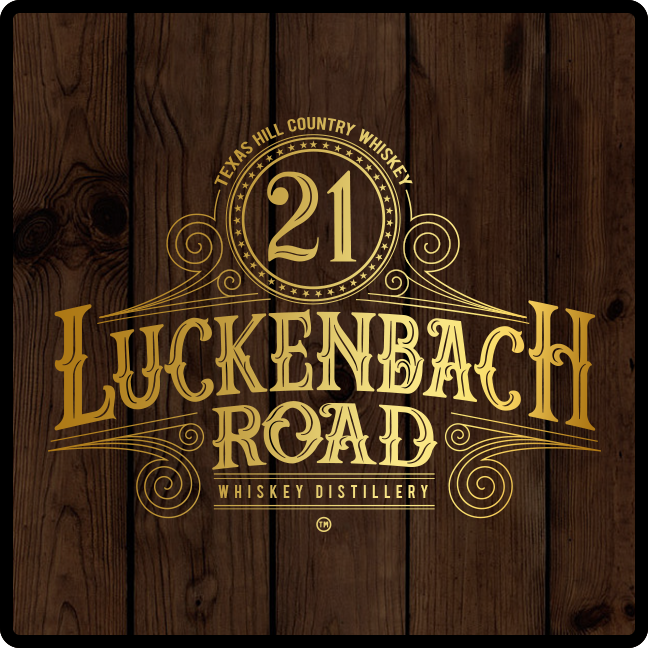 21 Luckenbach Road Whiskey—Single Barrel will be engaging, satisfying, and amazingly smooth, and it’ll also hit you with that hint of sweetness indicative of Hill Country whiskey. Ochs Family Special Select: Family Select will prove unlike any of our other whiskey profiles. Born from a family recipe made with 51 percent corn and a secret blend of barley, rye, and wheat, Family Select will conjure up fruity notes that offer a beautifully balanced flavor profile. Ochs Three-Year Aged: Make no mistake; this will be a stellar bourbon. Crafted as Luckenbach Road Whiskey Distillery’s first bourbon, Ochs Three-Year Aged will be filled with the aromas and tastes of Hill Country, including oak, toffee, and caramel. With a long, smooth taste, you’ll relish every facet of this bourbon experience, but the refined finish might just be the best part. Ochs Five-Year Aged: Few bourbons will be more coveted than Ochs Five-Year Aged, and this wheat bourbon will represent one of the best values on the market. With a deep honey-amber hue and warm, pronounced aromas of brown sugar and oak, the light finish provides a perfect balance. American Apple: This one is American to the core! Luckenbach Road Whiskey and apples come together to make a perfectly balance apple-flavored Texas whiskey of distinction. The result will be rich with American heritage and a light, juicy twist. Cinnamon: Made with 100 percent corn whiskey and natural cinnamon, this spicy, sweet cinnamon whiskey makes for smooth sipping. The hint of spice adds to the whiskey’s oak-aged notes to enhance the warm flavor profile, delivering everything you’d expect from a top-shelf cinnamon whiskey. Honey: Crafted from a blend of our Texas-made whiskey and a farm-to-bottle honey liqueur, this special recipe creates an enticingly smooth and sweet flavor. With hints of honey and a naturally rich flavor, this one-of-a kind whiskey is perfect for any occasion. Smoked Maple: For a smooth and slightly sweet finish, enjoy this inviting taste of smoky maple notes with complements of rich vanilla and caramel. Its aroma of smoked hickory and maple wood, as well as hints of fresh-cut grains, is sure to evoke memories of a fall country campfire. Vanilla: This perfect blend of organic vanilla liqueur and our fine Texas whiskey creates a delicious balance between full-bodied vanilla and subtle hints of American oak and homemade caramel. It’s tailor-made for those seeking just a hint of sweetness in their bourbon. 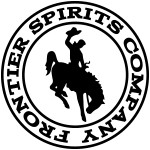 © Frontier Spirits Company 2018, All Rights Reserved.